Sweet words are not always true. 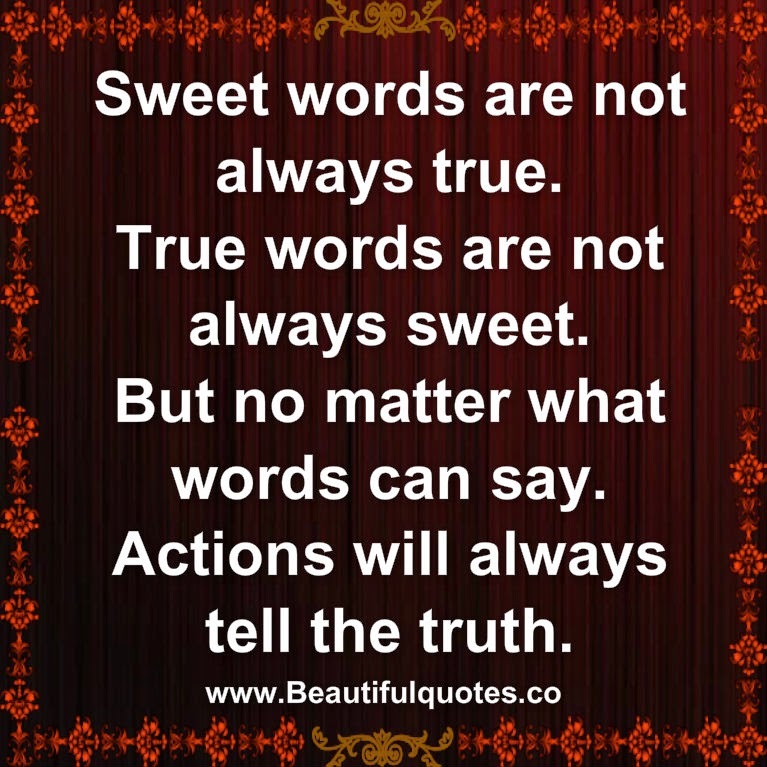 True words are not always sweet. But no matter what words can say. Actions will always tell the truth.